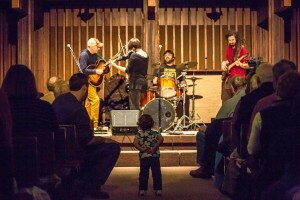 UUSGS has been hosting public concerts for over 30 years. Our support of local arts & artists is well known. The uNi Coffeehouse concert series, coordinated by Ed & Beth Brown, were a highlight of the local folk scene for decades. Since 2014, Unity House Concerts have been all the rage at UUSGS, featuring some well known uNi favorites, as well as many new voices. The brain-child of local folk groupie and blogger Joshua Farber, Unity House Concerts brings quality music to the Springfield area, extending the congregation’s long-lived support of the local arts scene. Concerts are open to the public, with reduced price tickets available for students. Volunteer positions are available, too. Come, join the fun! Check out upcoming Unity House Concerts events HERE. And… on Facebook, “like” the Unity House Concerts page HERE for updates and recordings of future acts.